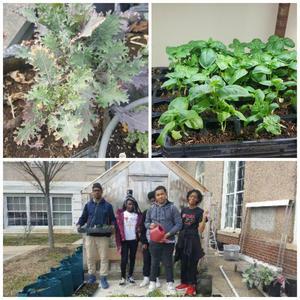 Check out these updates from Cultivate the City, IDEA's partner in urban agriculture. Early spring is a great time to kick off planting in the IDEA garden. 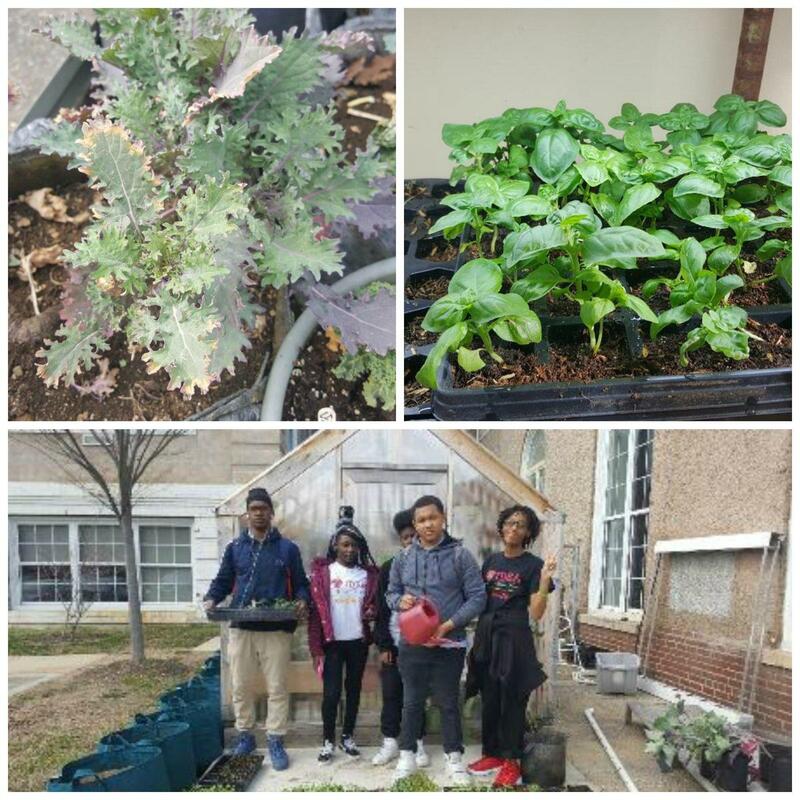 Now growing are a variety of kales, lettuces, broccoli, and hardy herbs that can withstand dips into colder temperatures.These plants will be available for the cooking clubs and the school cafeteria. Kale, like the Red Russian variety, is great in salads (young leaves) and soups (older leaves). These plants will have several harvests before the end of their growing season in the hotter weather. Cultivate the City set up a new seed starting station in the new wing. This space will help connect the school with what is growing outside in the garden and allow students to observe the life cycle of the different plants. Most of these plants will eventually be planted in the garden. Currently, we have basil, cucumber, some beautiful shade plants, and a number of other plants starting to germinate. This space also allows year-round growing for educational projects in the classrooms. The Entrepreneurship Seminar is spending some time in the greenhouse this semester. The students are looking at the marketability of plants and conducting an opportunity analysis of selling plants for fundraisers.